Fits 1998-2006 GM 4L60E (electronic shift model) 2 wheel drive Street and Strip automatic transmission. For use on LS type engines. Does not replace 4L60 (manual shift model). Transmission shipped without speedometer driven gear or housing. Legendary B&M transmission for street use. B&M's Street Strip transmission is a complete ready to run unit (less converter) for high performance street and mild strip use. 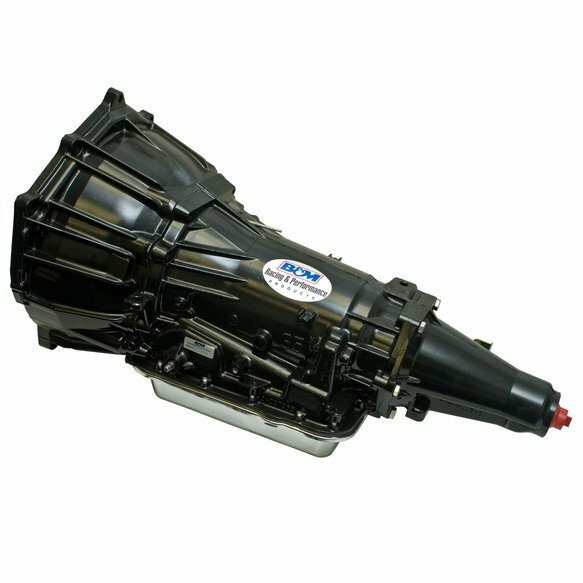 The transmission provides firm shifts and features a standard shift pattern, these are the finest available for street and strip use. The B&M Street Strip 4L60E transmission comes with a recalibrated valve body, Beast Sunshell, reinforced input drum, all new solenoids and wiring harnesses, performance pump assembly and B&M friction plates. 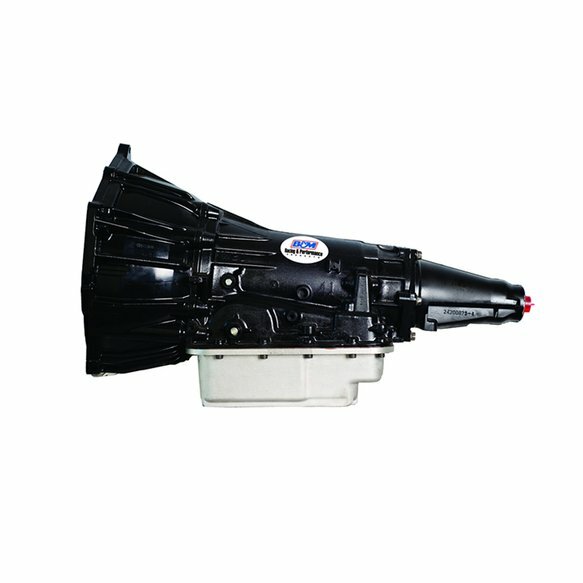 Replacement GM automatic transmission that fits 1998-2006 models with LS engines only. Max 550 HP / 450 Ft/Lbs. Max 550 HP / 450 Ft/Lbs.